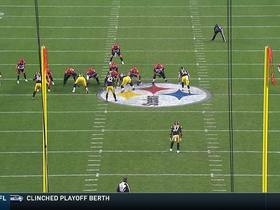 Driskel completed 12 of 24 passes for 95 yards in Sunday's 16-13 loss to the Steelers. He added two carries for 13 yards. Driskel completed 13 of 19 attempts for 133 yards and two touchdowns, adding five rushes for 21 yards during Sunday's 26-18 loss to the Browns. Driskel completed 14 of 33 pass attempts for 130 yards, one touchdown and one interception during Sunday's 30-14 win over the Raiders. He also carried seven times for 32 yards. Driskel completed 18 of 27 attempts for 170 yards and one touchdown, adding two rushes for 12 yards during Sunday's 26-21 loss to the Chargers. Driskel completed 25 of 38 passes for 236 yards, a touchdown and an interception during Sunday's 24-10 loss to the Broncos. He also lost a fumble during the contest. 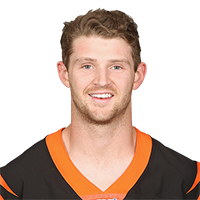 Driskel will take over as the Bengals' starting quarterback after Andy Dalton (thumb) was placed on injured reserve Monday, Katherine Terrell of ESPN.com reports. 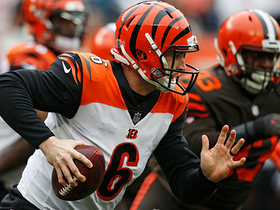 Driskel completed 17 of 29 passes for 155 yards and a touchdown while rushing three times for nine yards and a touchdown in Sunday's 35-20 loss to the Browns. 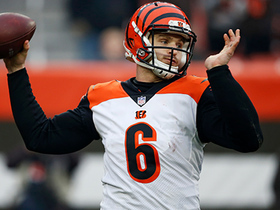 Analysis: Driskel came in with his team down big after Andy Dalton injured his thumb. He promptly cut the deficit to 35-14 with a 28-yard touchdown pass to Tyler Boyd, then called his own number from two yards out to complete the scoring with eight minutes remaining. 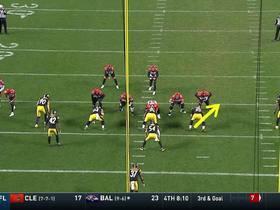 Should Dalton be forced to miss extended time, the 25-year-old Florida native showed that he can capably run the offense. The Bengals will host the Broncos in Week 13. Driskel replaced Andy Dalton in the fourth quarter of Sunday's blowout loss to the Saints and ran for a 27-yard touchdown. Analysis: Driskel ended up with two carries for 35 yards, and also completed two passes on three attempts for 45 yards. 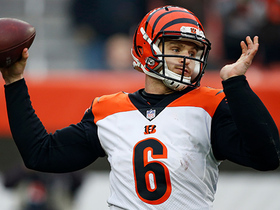 There's no quarterback controversy in Cincinnati, but it at least appears Driskel meets the minimum standards to be a competent backup quarterback. Pittsburgh Steelers defensive tackle Cameron Heyward sacks Cincinnati Bengals quarterback Jeff Driskel. 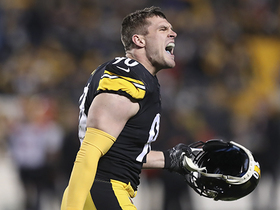 Pittsburgh Steelers linebacker T.J. Watt strip-sacks Cincinnati Bengals quarterback Jeff Driskel. 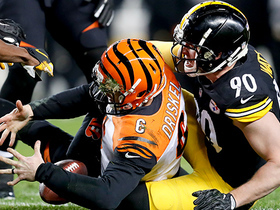 Pittsburgh Steelers defensive end Stephon Tuitt sacks Cincinnati Bengals quarterback Jeff Driskel. 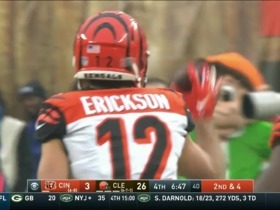 Cincinnati Bengals tight end C.J. 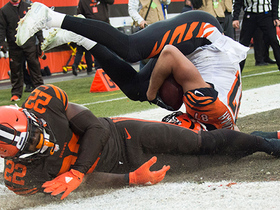 Uzomah makes diving touchdown catch. Cincinnati Bengals quarterback Jeff Driskel climbs the pocket to hit wide receiver Cody Core for two-point conversion. Cincinnati Bengals wide receiver Alex Erickson catches on the run for a 28-yard gain. Cincinnati Bengals quarterback Jeff Driskel connects with wide receiver Cody Core for a 27-yard gain. 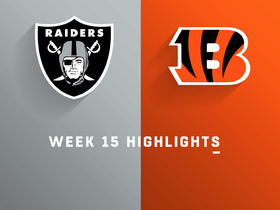 Watch complete highlights from the Week 15 matchup between the Oakland Raiders and Cincinnati Bengals.